When I was little (really little) my kindergarten teacher helped the kids in my class to make the requisite hand print and poem art for our parents and it hung in our house the whole time I was growing up. It’s there now, actually, right along side matching ones for my brother and now my own kids. And that classic handprint piece is always going to be a cherished childhood artifact. But handprints can be so much more than just handprints. So put on your apron, dig out the tempera paint and get ready to paint up some little fingers. Would you like to have a fish? How about a whole rainbow of hands for a teacher? 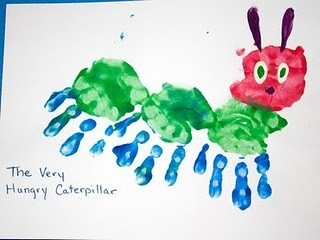 Butterflies, catterpillers, flowers, you can build a whole garden of handprint art. Want more ideas? 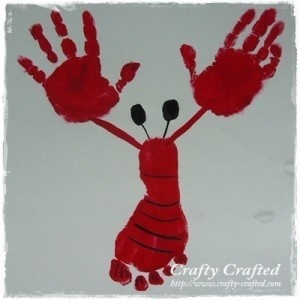 Check out our craft trends pinboard for more handprint art and send us some of your ideas! 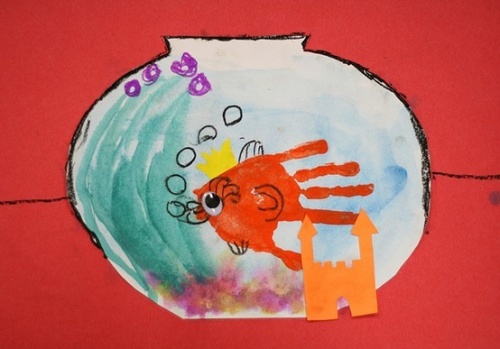 This entry was posted in Craft Trends, Crafts, Kid's Crafts, Mother's Day, Paper Crafts on April 8, 2012 by Gillian.